Back|Track is 31 Down's latest performance piece currently under development. It is an exploration of what lies beneath the surface of the Internet. The crust of technological interface is rigid and designed for the mass market. Under that surface lies the foundation of modern technology: a gooey anarchic grouping of open source communities. This "hidden" internet offers extraordinary freedoms and anonymity compared to its mainstream counterpart. 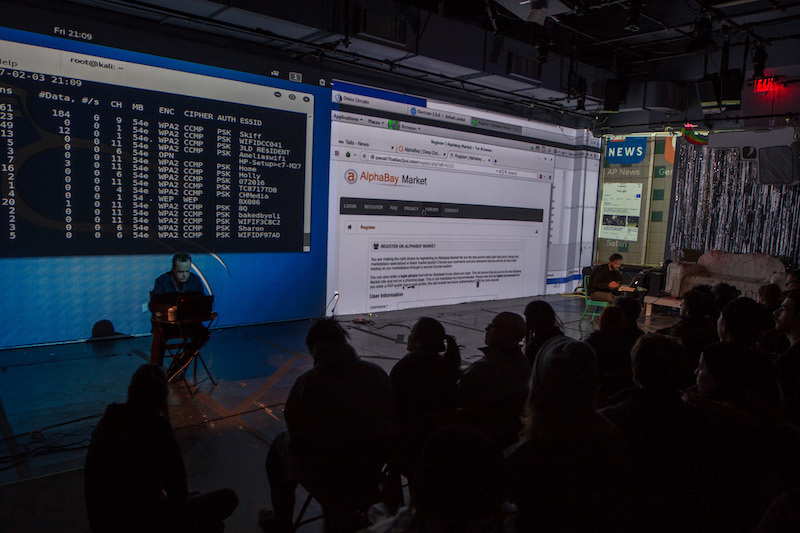 Our performance delves into this dark-web creating an audio-visual concert by exploiting the connections that bind us all together.